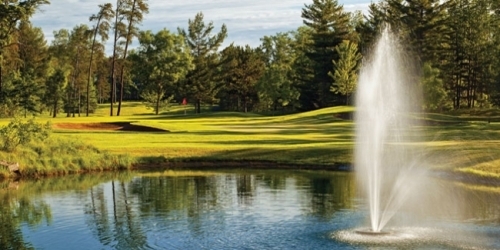 Includes one night lodging in the Breezy Inn & Suites, Buffet Breakfast , 2-18 hole rounds of Golf at Deacons, Free Range Balls, Free Shuttle to all Resort amenities including Golf courses, Restaurants, Lounges and Boat Marina. The Shuttle runs from 6 a.m until Bar close 7 days a week. With lodging in Deacon's Lodge cabin. 6 or 8 golfers in a 4 bedroom Deacon's cabin. 9 or 10 golfers in a 5 bedroom Deacon's cabin. 11 or 12 golfers in a 5 or 6 bedroom Deacon's cabin. Add $20.00 per person per night. Deacons Lodge reserves the right to change price and offer at anytime. Prices and offer are subject to change without notice. GolfTrips.com is not responsible for errors posted in this golf package.